“Thank you KPMG and Nation Media Group for appreciating the unique role SMEs play in job creation and the impact of their products and services in transforming lives. The National Economic Survey done by the Central Bank of Kenya in 2014 indicated that SME’s constitute majority of all business in Kenya and 80 percent of the jobs created in the year came from the SME’s. We are glad that Username Investment is part of these SMEs and we believe that we are capable of transforming our nation and contributing a higher GDP that will move our country from Third World country.” The CEO called upon every Kenyan to take advantage of the Username Christmas Sale and actualize their dream of owning land this season before the end of the year. The Christmas Sale presents a chance to invest in land and win a fully paid holiday trip for 2 to Dubai, Mombasa, Maasai Mara among other amazing prizes. 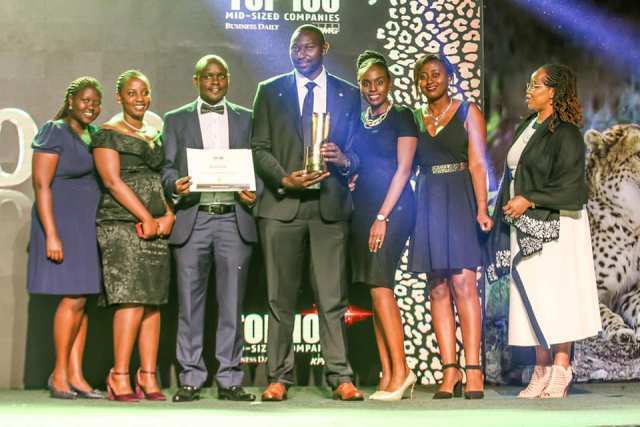 On the same day, Reuben Kimani received the Entrepreneur of the Year Award by Kenya Professional Realtors Association (KPRA) in a Gala Dinner held at Kenya School of Monetary Studies. Reuben was awarded for his unique contribution in making property affordable in Kenya. The event brought together buyers, sellers, commercial developer, investors and service providers in the real estate industry. The theme of the event was “Raising The Bar in Kenya Real Estate Market”. This aimed at helping Real Estate professionals take advantage of the robust industry and sizable profitable opportunities by enhanced service levels and professionalism. About Username Investment Limited Username Investment Limited is an award-winning real estate development and Investment Company. Among the awards previously won are The 2018 Best Land and Investment Company at Kenya Homes Expo in April and The best land agency in the use of digital solutions to enhance Customer Experience in September. The mission of the company is to help current and future generations of Kenyans actualize their dream of owning a home by offering them affordable real estate investment choices. Username is gearing up towards their goal of becoming the real estate investment company of choice in the country and the entire region. Username Investment Ltd. Recently launched a Christmas Campaign of encouraging clients to invest in land and win towards the end of the year. Clients are required to purchase land on a cash basis and qualify for a chance to win a fully paid holiday trip for 2 to Dubai, Mombasa, Maasai Mara among other amazing prizes. The company is giving an attractive offer of 1 free plot for every 10 plots purchased. Username Investment Limited offers free site visits to projects every Wednesday and Saturday.